Many sources that we have contact with in the retail sphere have all told us in the last few days that the Sony PRS-650 e-reader is officially unavailable. It is a total impossibility to find it in most retail settings such as Best Buy, Futureshop, Sony Style and other leading retail stores. Up until a few weeks ago it was possible to find it in those stores, even if their webpages reflected the fact they were sold out. The only model some stores still have left is the refurbished editions that are selling as low as $129.99, but only in the color silver. 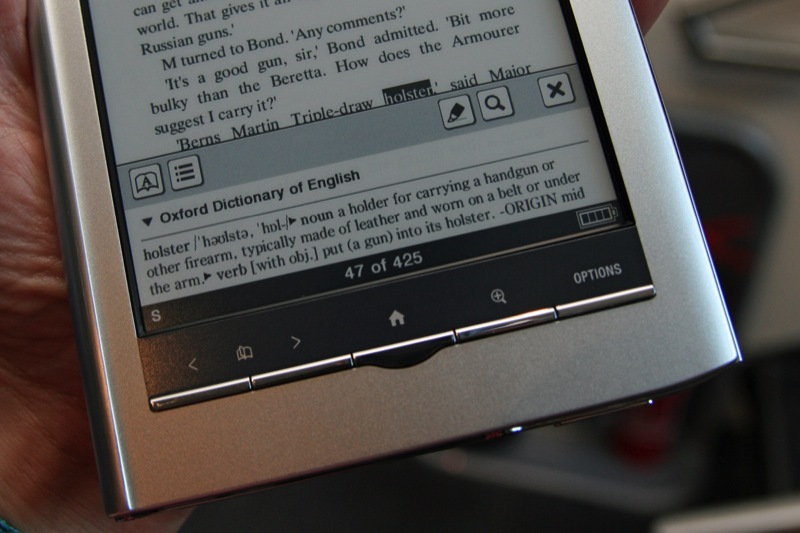 The Sony PRS-650 was the companies most successful e-reader to date in terms of straight sales and public acceptance. It was one of their first touchscreen e-readers to really gain traction with customers because of its pin-point accuracy and stylus. It was a great six inch reader with pearl e-ink and had crisp resolution and fast page turns. There was a global shortage at the end of 2010 and easing into 2011 because Sony used it as a platform to enter the Japanese market and garner deals with book and publishing partners. By today’s standards it is lacking with WIFI and the inability to connect to the internet. You could not physically buy books on the device and instead had to use your PC to shop for books and then use Adobe Digital Editions to copy them over. It was fairly popular at the time because of its competitive prices and allowing people to load in their own books via programs like Calibre. The 650’s days were numbered with the advent of the recently released Sony PRS-T1! This new model boasted Wireless internet access and a web browser. It also allowed people to buy books directly from Sony’s own book store and tap into Google Books to download free ones. Finally it had its own customized Overdrive App built right into it to easily borrow books from your public library. The price is drastically lowered to compete with other lower-end devices and is widely available at $129.99. Personally I thought the 650 had a great design with the aluminum style body and it felt sturdy in your hands. This was a stellar device at the time and many people had extensively used it for years. We constantly get emails about firmware updates and asking about it even now. One of the big factors on the success was the fact it was very internationally friendly. It offered the menus and languages in over 12 different localizations and was pushed by a big company with extensive retail clout.